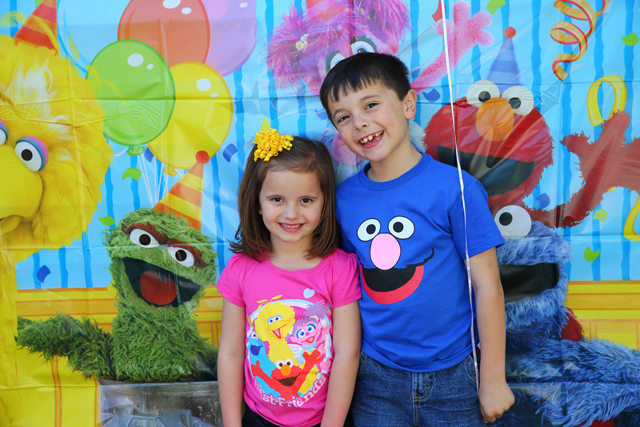 Throwing a Sesame Street birthday party can be overwhelming because you can find SO many ideas on the Internet. 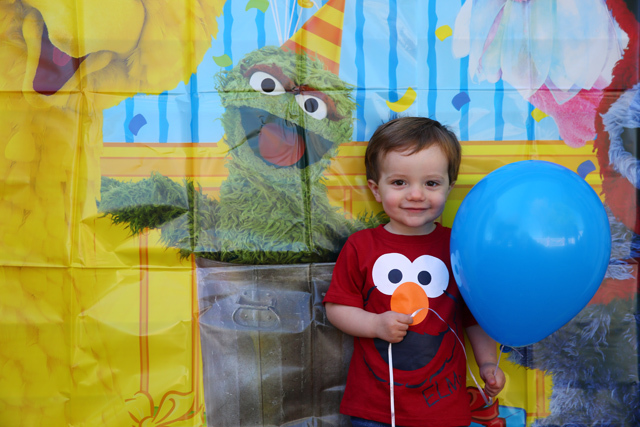 After throwing three Sesame Street birthday parties over the past six years, I’ve got it down to a science. 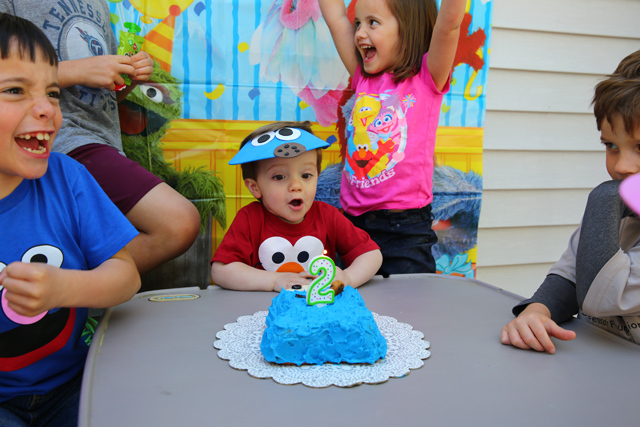 Ezra turned two on New Year’s Eve, but because I was healing from my surgery, we had his party last month. 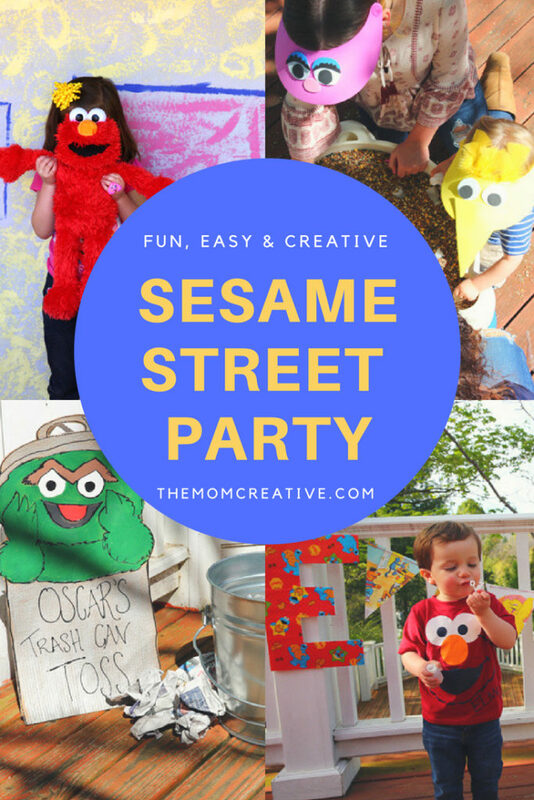 Though this was the third Sesame Street party I have thrown (see Elias’s Elmo party here and Adeline’s party here), I still found ways to make it different and fun! 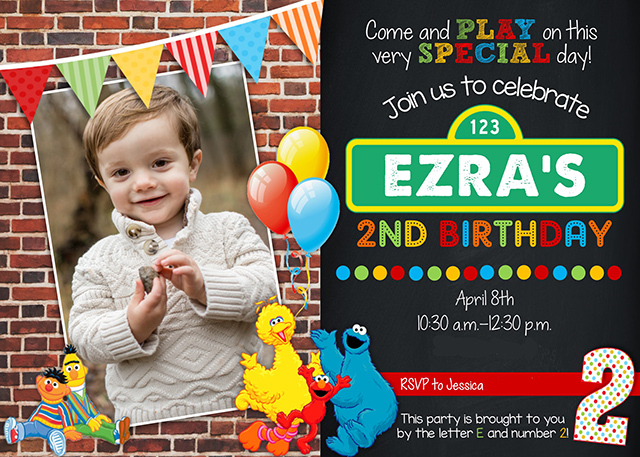 After looking at dozens of Sesame Street invitations on Etsy, I landed on this design for Ezra’s invitation. It turned out so precious. I had it developed on Shutterfly to keep printing costs down. My favorite part of any party is a photo spot. 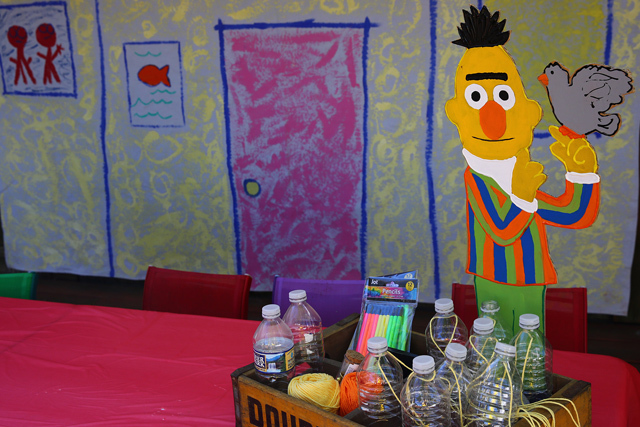 This Sesame Street scene setter was the perfect way to incorporate all of Ezra’s favorite characters into the party. 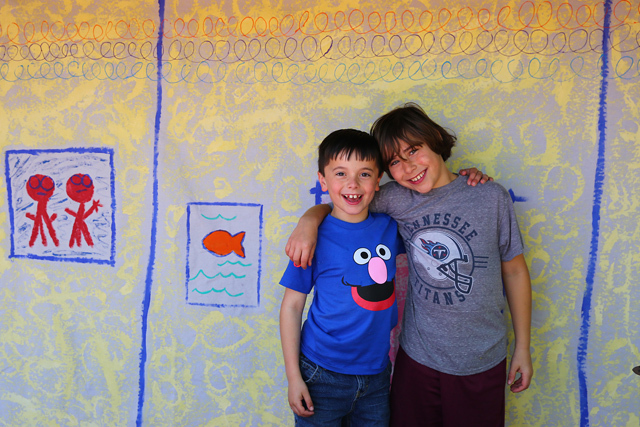 We found all of our family Sesame Street t-shirts on Amazon. 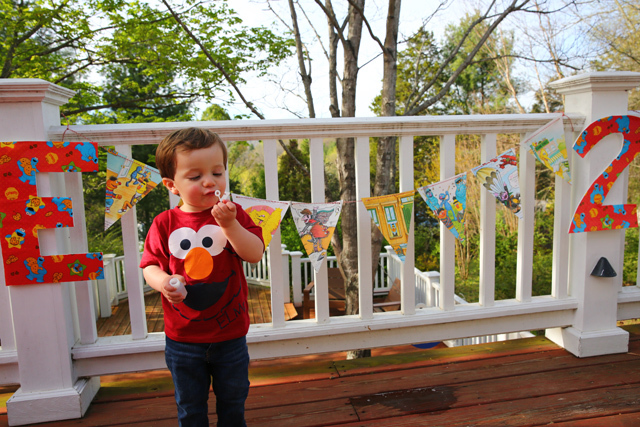 I always do a few photos before the party starts to ensure I get a few photos of the birthday child. 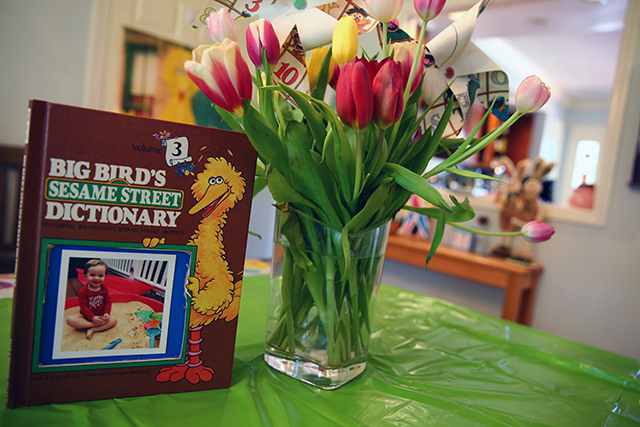 This Sesame Street guest sign-in book is also ADORABLE! Rather then buying a bunch of decorations, I made many using old Sesame Street books (found at a used bookstore) and Sesame Street wrapping paper (found at Dollar Tree). 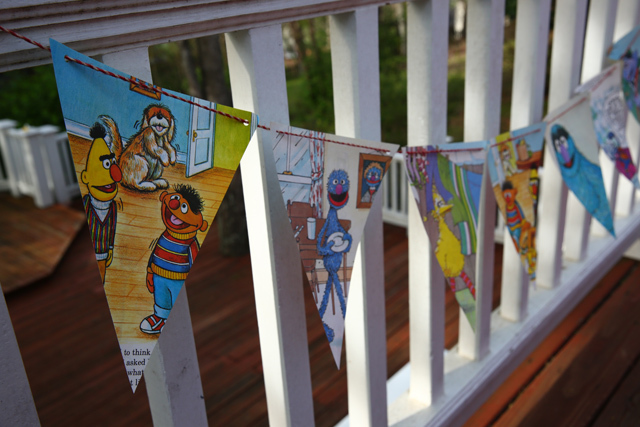 Across the deck I hung Sesame Street buntings cut from old book pages. They were so fun! 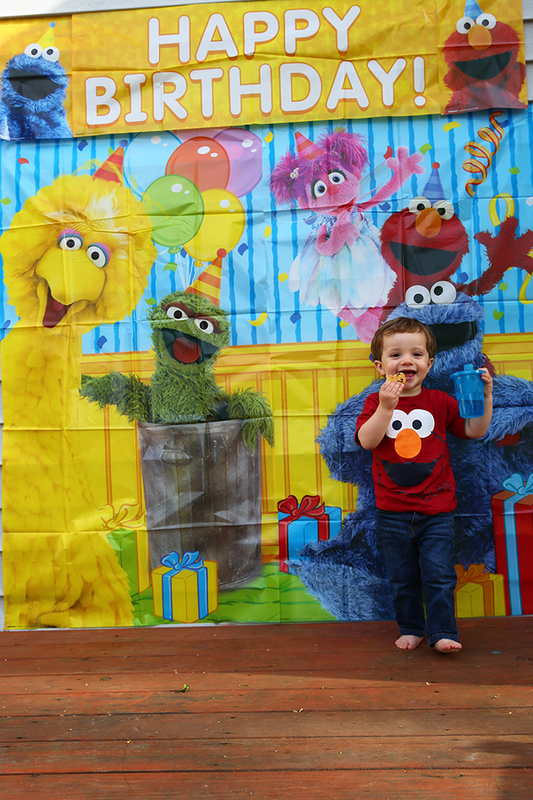 I also cut a big E and 2 out of foam core and covered them with the Sesame Street wrapping paper. My favorite book decoration was this book on the center of the food table. I cut out a frame and inserted a picture of Ezra in it. It was so easy and SO cute. I love having a small party favor for kids to take home. These plastic Elmo party bags are the perfect size. Inside I included a small Sesame Street bath book (found them at Dollar Tree), a package of goldfish crackers and some bubbles. 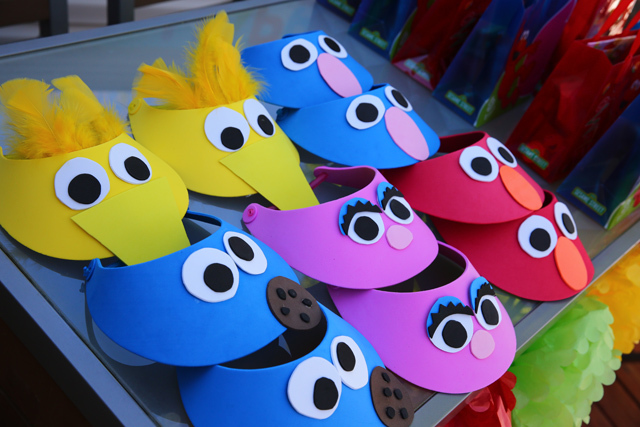 These Sesame Street party visors were one of my favorite elements of the party. I made Cookie Monster, Big Bird, Grover and Abby Cadabby. To make these visors, get plain foam visors and some foam sheets for the face pieces. Cut out the pieces and glue them onto the visor. A bit tedious, but totally worth it! I kept the food VERY simple. Sandwiches, goldfish crackers and fruit. 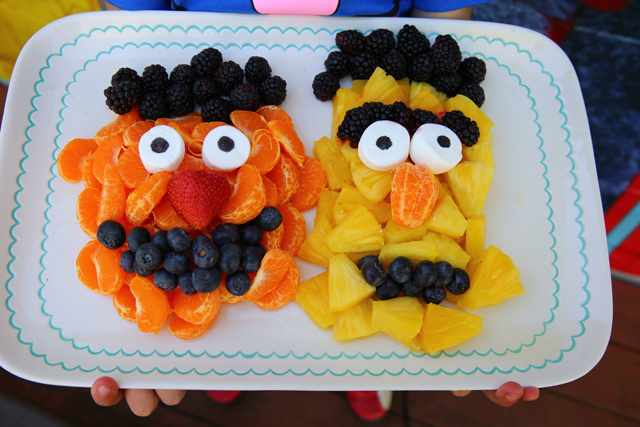 The Sesame Street fruit trays were the hit of the party. Bert was made with pineapple and blackberries. Ernie was made with clementine oranges, blackberries and blueberries. 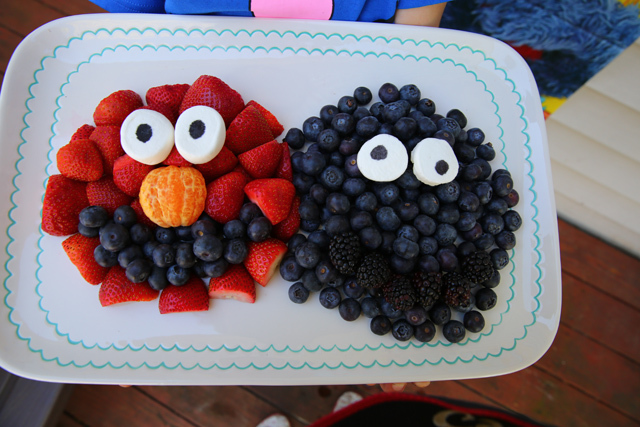 Elmo was made with strawberries. 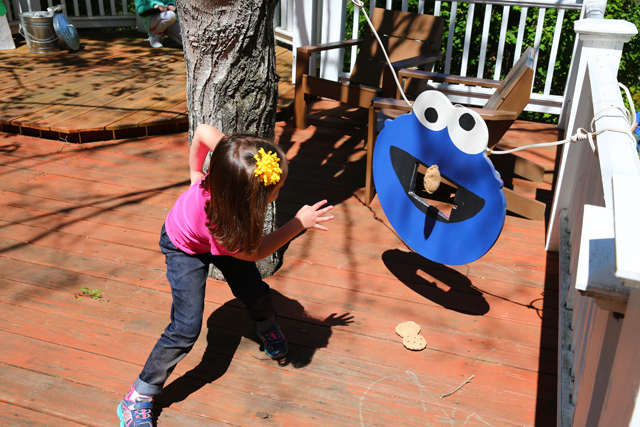 Cookie Monster was made with blueberries and blackberries. I partially assembled the faces the night before, then added the eyes and Bert’s eyebrows the next day. 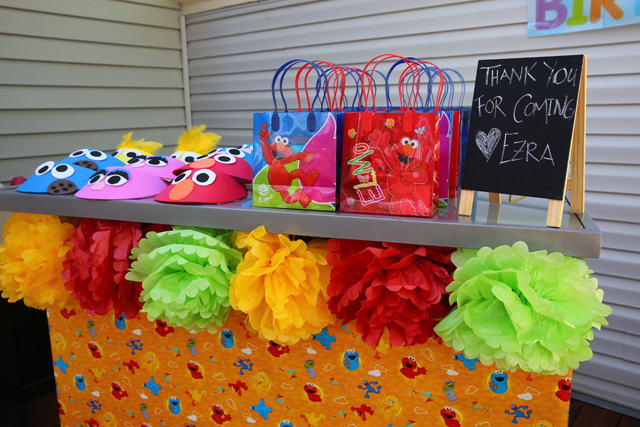 The lower deck was where all of the games were, and I transformed it into Elmo’s World for Ezra’s Sesame Street birthday party. 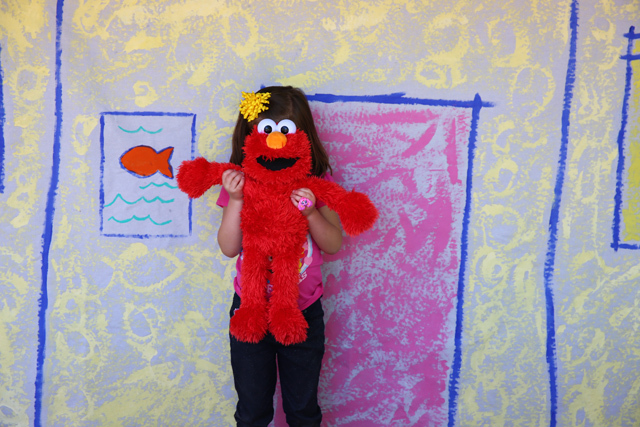 I bought a canvas paint drop cloth and then painted it like Elmo’s World. 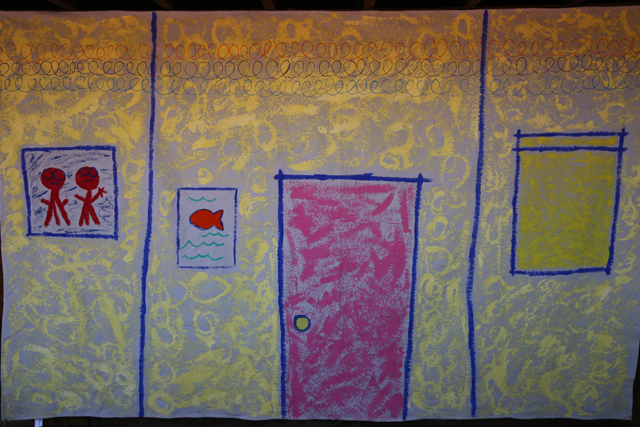 It took a few hours to paint (everyone helped!) and turned out SO precious. 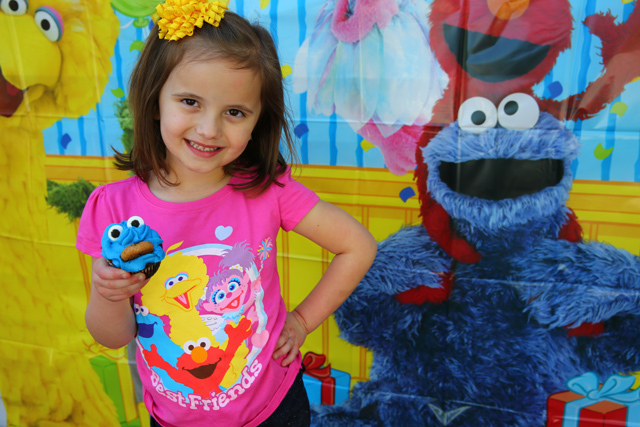 It was so fun putting together these Sesame Street birthday party games. Some of them were repeats from Adeline’s Sesame Street party and some were new. I hand painted all the characters on cardboard. 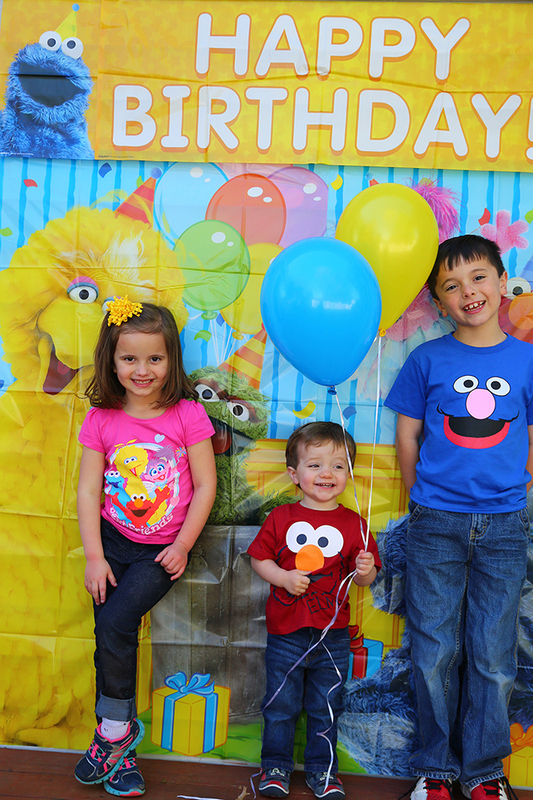 Thankfully I had saved the Big Bird and Oscar from Adeline’s party. I think they added so much to the decor and they were very frugal to make. 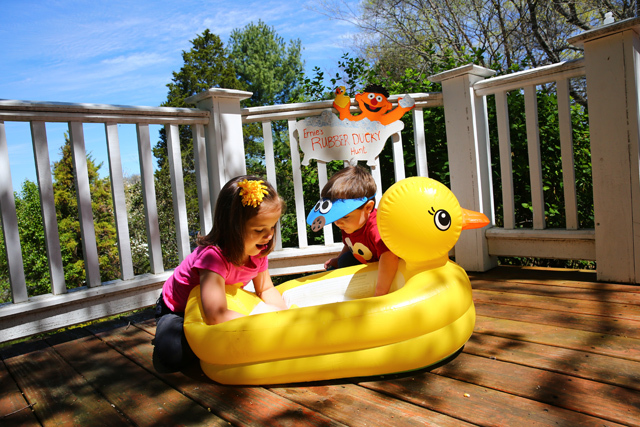 We hid small rubber duckies all over the deck for the kids to find and then put in the big rubber ducky tub. The kids loved splashing in the water as much as finding the ducks! 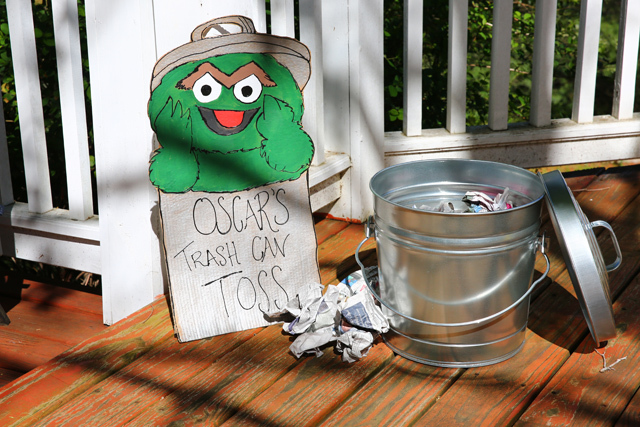 A simple metal trash can and some crumpled newspaper made this Sesame Street birthday party game a snap to put together. For the cookies, I made simple circle bean bags out of felt, and then painted chocolate chips onto them. They were so cute and the kids loved tossing them. 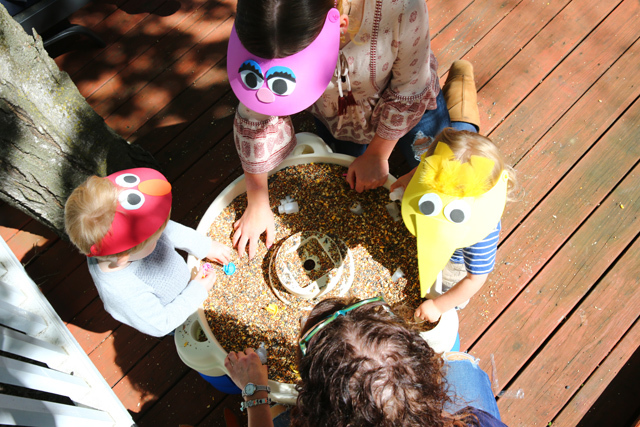 We turned our water table into a bird seed sensory experience. The kids searched for Sesame Street rings and small bottles of bubbles. 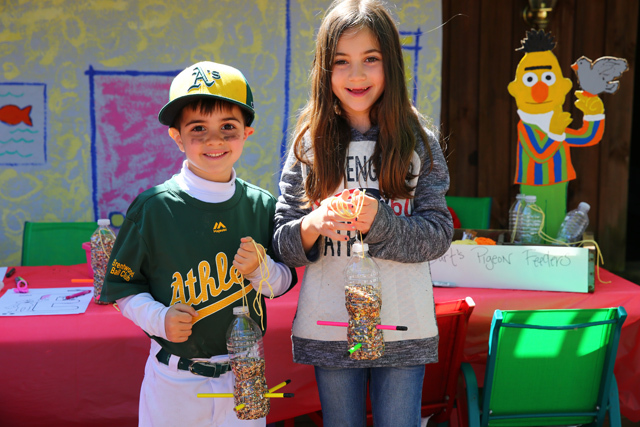 This is the second party we had a seed search and it is a HUGE hit. Because we were going to have some older kids attending the party, I wanted to have something for them to do. I decided to have bottles prepped for the kids to make simple bird feeders. 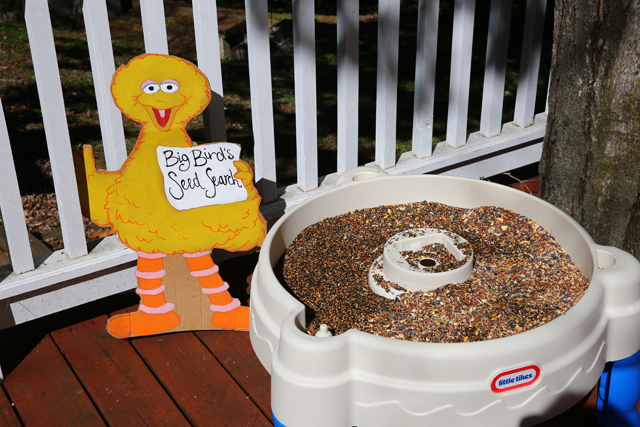 This was a great way to use up some of the seed from the seed search and have a fun craft for the kids to take home. The supplies were super simple too. Beyond seeds, we needed empty water bottles, yarn and unsharpened pencils. We followed these instructions and had almost all the holes cut into the bottles to make the project really simple. We did not cut the final holes for the seeds to come out, but instructed the parents to cut them when they got home (we didn’t want seeds to get all over people’s cars). 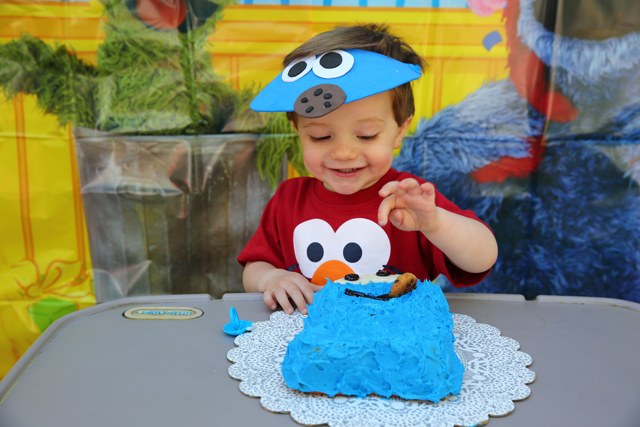 Ezra’s favorite character is Cookie Monster, so I had to make a Cookie Monster cake for his Sesame Street birthday party. 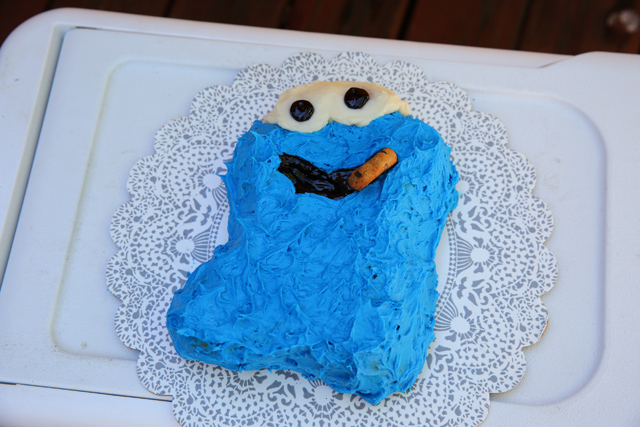 I used this 1977 Cookie Monster Wilton Cake Pan and the cake was SO precious. 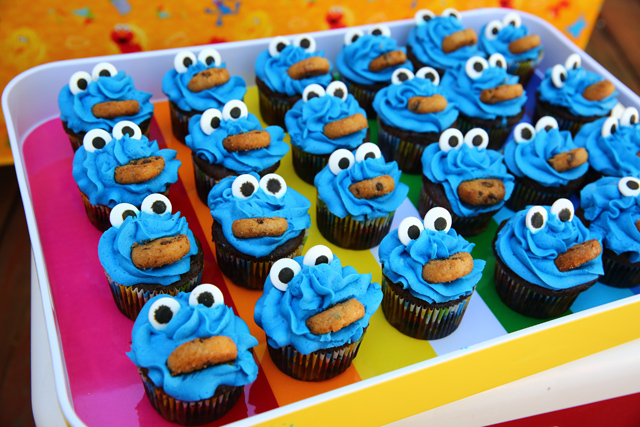 For the Sesame Street birthday party, I also made Cookie Monster cupcakes with candy eyes and cookies. I found it worked best to cut the small Chips Ahoy cookies in half to put in Cookie’s “mouth”. 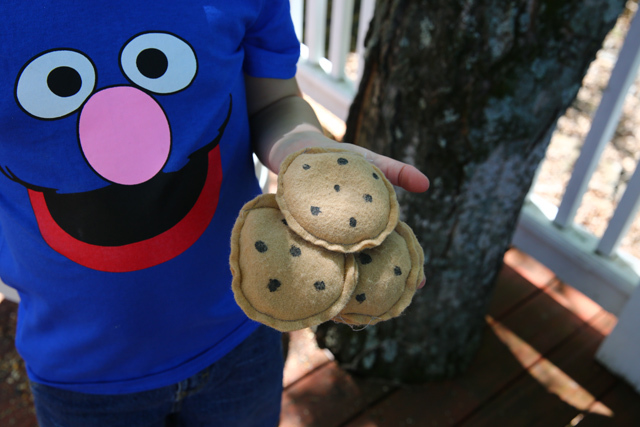 They were super easy to make, and everyone thought they were so fun. 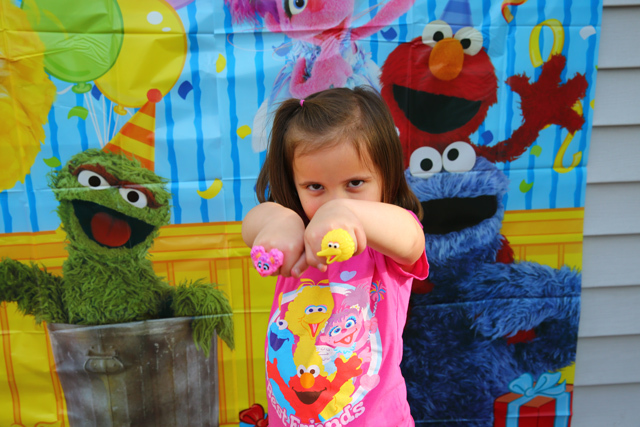 My third and final Sesame Street birthday party was a success! 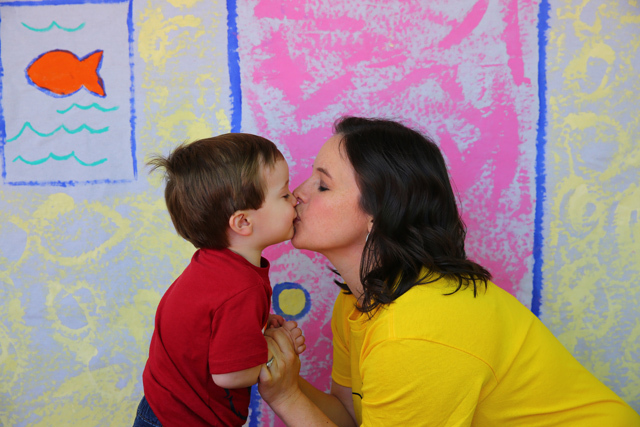 Though I know it is unlikely that Ezra will remember it, I hope he looks at the photos someday and knows that he was very loved. If you like this party, pin it! 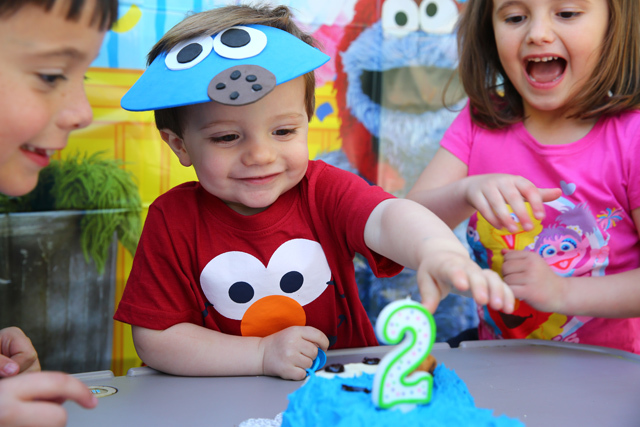 For more Sesame Street birthday inspiration, check out Elias’s Elmo-themed 2nd birthday, Adeline’s Sesame Street party, and my Sesame Street Pinterest board. jessica! you are so inspiring. this party looks ridiculously CUTE! i’m due with my first baby at the end of august but i look forward to using some of your ideas in the future. SO FUN! Just adorable! Cookie Monster was always my favorite too. I can’t believe how much your daughter looks like you! What an amazing job! 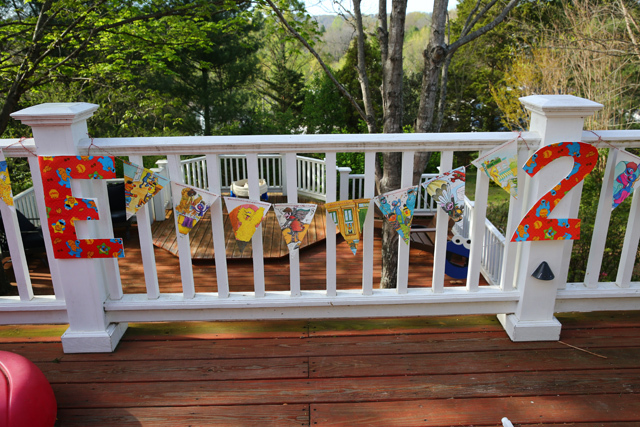 you are so creative and made a wonderful party for your son. Love the fruit platters they are adorable. Wow. Every detail is perfect! I loved the visitors and the fruit trays, but honestly, everytime I thought something was my favorite, I loved the next thing, too!! It looks like y’all had a great day!! I’m stopping by from SITS Girls and pinning this for future reference! So many great ideas for all aspects of a party. I shared this to my Facebook page @SirChocolateBooks. I found your post on the Inspire Me Monday Linky Party. What an amazingly adorable and fun party. You hit this one outta the park, Mom! Congrats, you’re featured this week at the This Is How We Roll Link Party. Such a cute birthday party. Pinned & sharing…Thanks for sharing at the #InspirationSpotlight @DearCreatives hope to see you again soon. Yu made an amazing party for your son. I enjoyed seeing those smiling faces! Thanks for joining the Dishing It & Digging It Link Party. I hope you had a good time and met some new friends. What an adorable party! LOVING the cake and cupcakes. 🙂 So much fun! Best of luck with he rest of the birthday parties, keep sharing. Keep inspiring us. Oh my God I cannot stop smiling! 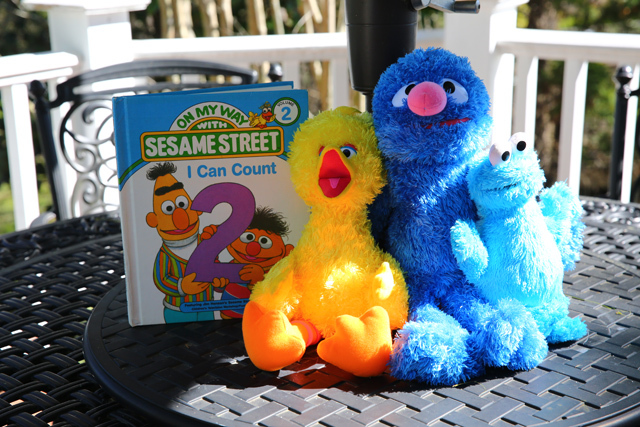 This is like the perfect Sesame Street party. Funny thing is I am looking for ideas for my little cousin who’s name is also Ezra and his 2nd birthday too. 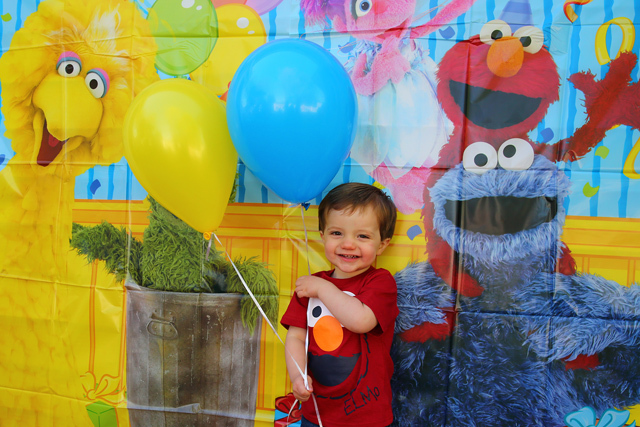 He loves Elmo but we want to do a Sesame Street party and your ideas are the cutest! Thank you for posting this!